No booking necessary. Tours depart from the Archive every Sunday at 12pm. 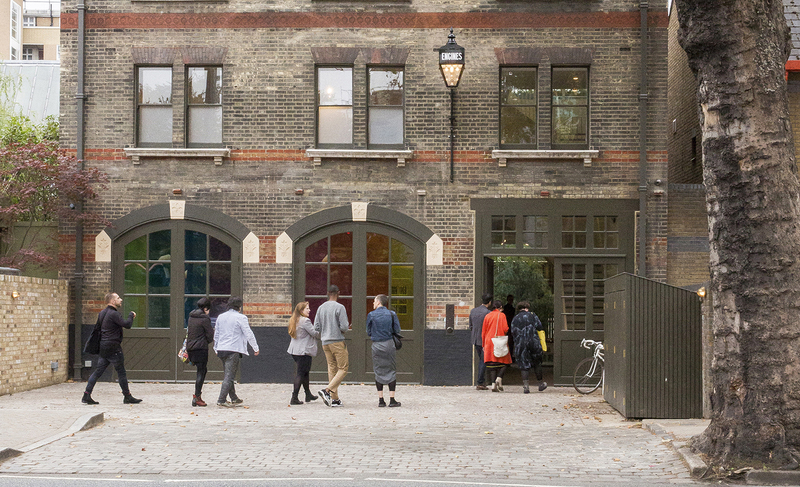 Heritage Programme Assistant Jade Onojeruo leads a Heritage-focused tour drawing together the intertwined histories of the South London Gallery (SLG), the Fire Station and the surrounding area. Travelling along Peckham Road, we will explore the foundation of the SLG and it’s evolution to the present-day and the Fire Station’s past as both a functioning Fire Station and as Kennedy’s Sausages. The tour will also delve into the social and architectural histories of the local area, including Camberwell House Asylum and UAL Camberwell College. The Heritage Tour lasts for approximately 45 minutes and takes place across a flexible route, depending on the interests and accessibility requirements of participants. The tours are drop-in and depart from the Archive, Fire Station every Sunday at 12pm. These weekly Heritage Tours are developed through the South London Gallery’s critical heritage programme, Evidence of Us.